It can be easy to get in trouble with credit cards, but they can be helpful financial tools when used appropriately. Credit cards for bad credit are especially beneficial if you’re trying to improve your credit score. Here are four ways a credit card can help your finances. If you have poor credit, either because of limited credit history or some mistakes from the past, responsible use of a bad credit credit card is your ticket to improved credit. When you use a credit card, your usage is reported to the major credit bureaus. Responsible behaviors such as making your minimum payments, paying your bills on time and keeping a low balance will gradually raise your credit score. There’s a reason behind doing all this hard work: Using your credit card for bad credit wisely and building a better credit score will pay off in many ways. When you fill out a lease to rent an apartment or home, your credit is checked to make sure you have a strong repayment history. Your credit is also checked any time you apply for a loan, such as an auto loan or mortgage. Good credit not only improves your chances of being approved, but also means you will get a better rate. It can also mean lower rates on insurance and future credit cards. Additionally, many employers run credit checks on job candidates, so having a solid credit report might even influence whether you are offered a job. All credit cards feature the benefit of zero liability for the cardholder on unauthorized purchases. This means if your credit card is lost or stolen, you are not responsible for any of the fraudulent purchases. Debit cards do not have the same legal protections and may result in loss of money if stolen. This credit card benefit is especially valuable as credit card data breaches become more common. Credit cards for people with bad credit should never be looked at as free money or a way to live beyond your means. It’s important to keep in mind that each time you swipe, you are borrowing money and must pay interest if you carry a balance. However, credit cards are very useful for occasional emergencies. Say you get a flat tire and it’s the very end of the month, and you need a new tire but don’t have a spare $80. You can put it on your credit card and pay it off as soon as you get your paycheck. A credit card serves as a handy way to front-load expenses that you know you can pay off in the very near future. Just don’t get in the habit of doing this regularly, as you could get stuck in debt. 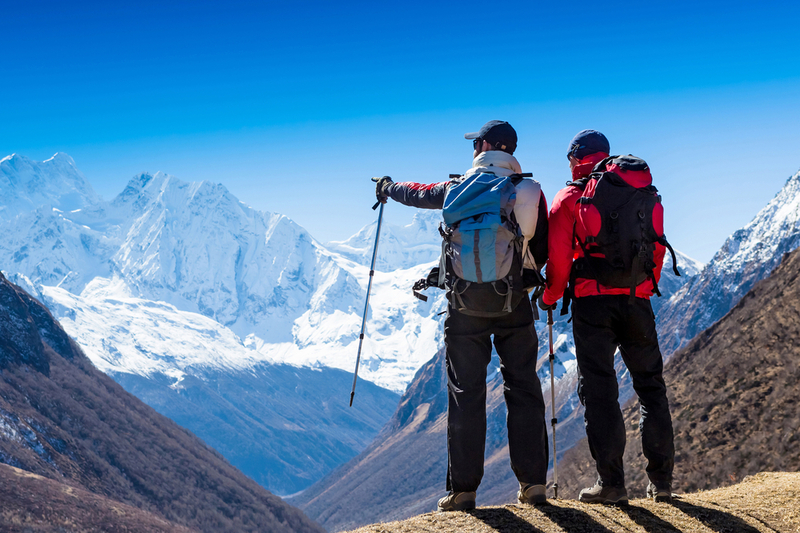 Group of hikers in the mountains image via Shutterstock.